Fuller transmissions are used in many applications including agricultural, delivery industry, construction, heavy haul, bus & coach line, logging, mining, oil field, refuse and towing & recovery. Our Fuller Transmission Warehouse is fully stocked. Including Eaton Fuller mid-range and heavy-duty transmissions, and Roadranger auxiliary transmission parts that consists of thousands of individual items. We ship Worldwide. When you need it fast Call 877-776-4600 for discount pricing. We also offer a complete line of repair kits for fuller 5, 6, 7, 8 , 9, 10, 13, 15 and 18 speed transmissions along with rebuild kits to overhaul kits for your Roadranger transmission. 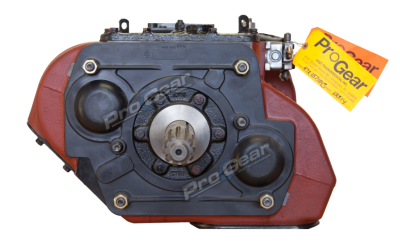 Pro Gear and Transmission Inc. is the online leader in Fuller truck transmission parts. Use Genuine Fuller patented parts to completely overhaul a transmission or a single gear to repair it. We stock all the parts you need for rebuilding your Eaton Fuller Mid-Range as well as Factory Remanufactured Fuller Roadranger Transmissions for sale. Enhanced transmission seals provide greater protection against damage caused by lube loss. New Fuller synchronizers are the most durable in the industry, with greater wear-resistance for longer life. Eaton Fuller clutches have the self-adjusting feature to eliminate adjustments and extend life. Genuine parts increase uptime and improve productivity. No clutch adjustments, more durable synchronizers, and improved seals mean less required maintenance resulting in increased vehicle uptime and improved productivity. Call our experts today 877-776-4600! You’ll be glad that you did! Did you know you can get next day truck freight almost anywhere in Florida? 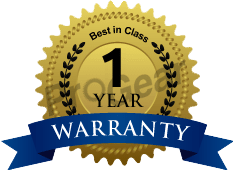 Jacksonville, Miami, Tampa, Saint Petersburg, Hialeah, Orlando, Fort Lauderdale, Pembroke Pines, Tallahassee, Hollywood, Coral Springs, Cape Coral, Gainesville, Port Saint Lucie, Miramar, Lakeland, Melbourne, Plant City, Kissimmee, Sarasota, Sanford, Winter Haven, Apopka, Immokalee, Rockledge, Cocoa Beach, Mount Dora, Saint Augustine and many more. We also offer international shipping. Our shipping warehouses are strategically located across the globe to ensure fast delivery. We can ship to any US city or country worldwide. We have successfully exported truck transmission parts to over 60 countries and hundreds of cities worldwide and we know what it takes to get the job done right the first time. Our goal is for you to be able to complete your job in the least amount of downtime possible.